Rose is a beauty and her sweet temperament is by far her strongest attribute along with her strong lineage. She is a quiet, deep thinking, very intelligent girl, with a willingness to always please. She carries the genes for strong scent detection like her father, Am-Can CH. Nitro’s Boy Wonder, TDI, CG, or “ Robin” as we all know him. 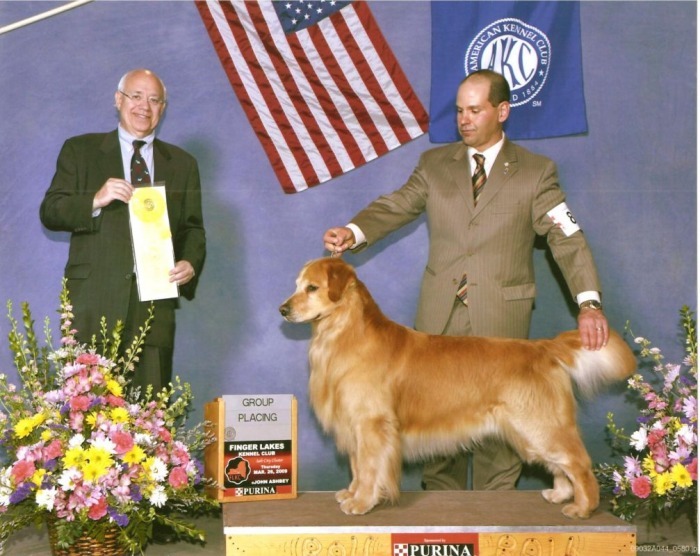 He received the 2009 AKC Search and Rescue award. Her grandfather, BISS Am & Can CH. Pulali’s Stetson Fits, SDHF, “Stetson”, was a Top Twenty Golden for 3 years and received a Judges Award of Merit (JAM) in 3 National Specialties, and is a Multiple Specialty Winner Of Best Of Breeds. Rose is a certified Therapy Dog which she loves above all things. She is obedience trained and the hope in the near future is to work on some AKC Companion Performance certificates. Rose is happiest by your side, so she will excel in her new endeavors in the years to come. 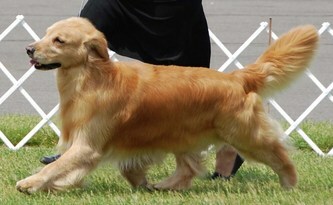 LoverBoy is owned by Leo & Marcia Gould from Golden Clover Retrievers. 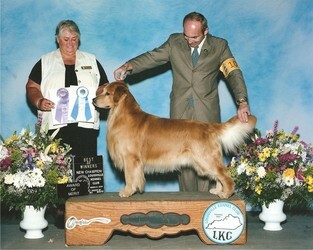 LoverBoy finished his AKC championship with a 4 pt. Kansas City specialty win and a prestigious 5 pt Major win at the Louisville Cluster in 09. He has gone BOB several times and has received group placements as well. 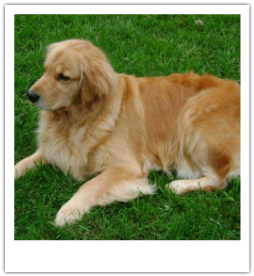 LoverBoy is the epitomy of what a golden should be….moderate, fun loving, loves to show, sweet temperament, biddable, loves retrieving, loyal and is of sound mind and body! His side gait is outstanding as he carries a rock solid topline and covers ground effortlessly.